One would be hard-pressed to find more functional friends with benefits than fashion and blogging�the constant flow of a wide variety of looks and styles from around the world are closely monitored and documented by a tight group of well-known fashion blogs. Both are universally criticized, and allow for the proliferation of terribly misguided creativity. On the bright side, these fashion bloggers can be found wandering the streets of Paris, New York, Harajuku, Milan and everywhere in between, documenting the best-dressed. These blogs provide examples and inspiration for new fashions, unique combinations and upcoming trends. In addition to providing inspiration for those of us still trying to put together an outfit from what's left of the clean laundry, fashion designers can immediately measure the depth of penetration of different looks throughout the world, with blogs basically providing a 'what's hot and what's not' without all of that pesky market research. For those still trying to figure out how to dress themselves and their loved ones, street fashion blogs highlight the hippest of the hip in every locale�the who's who of looking or dressing great in each locale of interest. Getting multiple features in a high profile blog is a surefire way to get universal praise and criticism from friends and enemies. Depending upon how amazingly creative you think you are, you may benchmark yourself against any number of regional or global fashion authorities. It is unsurprising that the fashion-forward individuals among us would be familiar with Fruits (Japan), Facehunter (London/world) and Prada and Meatballs (Milan)��but what about Salt Lake? How does a fashion blog function in a small, landlocked, conservative state where fashionable is synonymous with last year's mall looks from Ross? 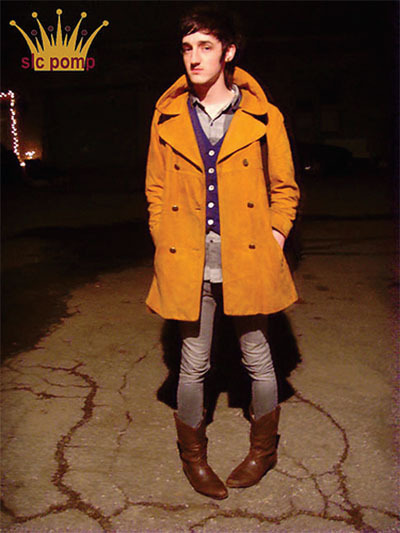 SLC Pomp, Salt Lake's most prevalent fashion blog, relies on a clever mix of fashionable youth (i.e. hipsters) and an appreciation for outlandish looks of all types. In addition to this lack of preference for a particular trend, I was surprised by the authenticity and objectivity of the blog postings. The only bias is towards the interesting and new. The only hints of cynicism are firmly layered beneath a seemingly genuine appreciation for lycra bodysuits and elderly women that match everything. The more traditional around-town street fashion makes a regular appearance, as well as high profile fashion shows and design competitions. An appreciation for the art of fashion in all aspects is most definitely mold-breaking, and some of the highlights of the blog are often found in the pictures and commentary of the most eclectic of persons rather than the prettiest. This approach is far more refreshing than Vice's tired "Dos and Don'ts," which, while occasionally hilarious, are little more than a purposeful attempt to fabricate the hipster cookiecutter or poke fun at a poor misguided soul. 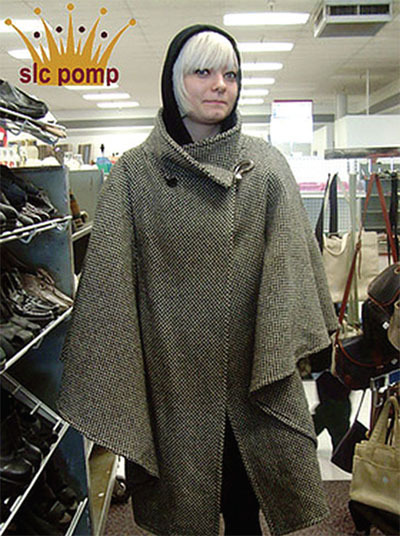 Ultimately, a comprehensive reading of SLC Pomp will leave you with absolutely no idea if a line exists between fashionable and absurd��no doubt inspiring designers and fashionistas to take some chances and creating innovative looks based on the clever mix of vintage, designer and everyday threads. Compared to the better-known fashion blogs, SLC Pomp stands up surprisingly well considering the actuality of the city's street fashion compared to the flagships of fashion around the world. In addition to running the blog, administrators Marcela and Thomas search from fashion shows to nightclubs to discover the true look of Salt Lake. Sources for anything from custom clothes, local designers and fabric stores are highlighted along with recommendations regarding the application. According to their blog, the focus of what they do is to "document fashion in and around Salt Lake City. We look for people who create their own visual styles." Split between the www.slcpomp.com website, Myspace and a Flickr pool, there is no lack of content. 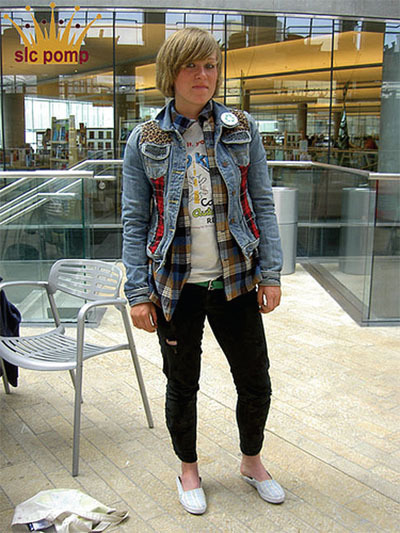 One issue with SLC Pomp is that it is a bit disorganized� with street fashion photos strewn across the Myspace site and Flickr pool, and the blog mostly providing commentary on the greater ideas of fashion and design. After perusing the fashion blogs of the world, I began to watch what everyone was wearing a little more closely. It turns out that no matter where you are, it seems the same percentage of people are truly "fashion blog" worthy. Mind you, these people are often pretty concentrated, whether it be the trendiest neighborhood, hippest club or fashion district of a particular city, but all in all, the per capita remains the same. The underlying purpose of the fashion blog for the rest of us is to highlight the creativity and art of style and design��not merely document the particular fashions of a locale or scene. With the explosion of user generated content, it was just a matter of time before we had more interesting places to look for fashion tips than the mannequins at the local mall.